It has been a long while since SPAM has lost its effectiveness, when it comes to link-building and other stuff! In spite of these facts, there is no difference in the number of spam comments, spam registrations that you get on your blog or website even though you might be using some of those not-so-effective spam protection solutions! Majority of such solutions want you to keep an eye on the dashboard so that you can review and delete spammy stuff when the plug-in has found something. And, to do these all, they may need the CAPTCHA protection as well, which isn’t good when thinking from real user’s point of view. 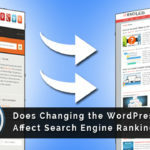 In this post, however, we’ve come up with an all-new solution that has all the required features to fight spam from your WordPress-powered site or blog — CleanTalk, the WordPress plugin. Here, we will have an in-detail review of CleanTalk so that you can decide whether you should use CleanTalk instead of the existing anti-spam services and plugins out there. To start with, we shall have an introduction to CleanTalk plugin. Basically, CleanTalk is a WordPress plugin that is meant to fight spam comments, registrations and contact forms! It’s to be noted, however, that CleanTalk is not a typical anti-spam plugin, but rather an install-and-never-look-back tool that uses an innovative method to make spam-fighting more effective. To understand how effective CleanTalk is when it comes to fighting off spam, you need to know the working principle of CleanTalk. This is what happens when a spam bot tries to comment on your blog post: after a comment is submitted, the details are sent to cloud servers of CleanTalk and these details are cross-checked with the huge database of CleanTalk to get an idea whether it’s a spam or not. If the response is positive, the comment will be deleted instantly; instead, if reply is negative, it will be published instantly. 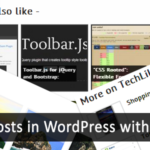 All these things happen in seconds, and you won’t ever have to worry about spam comments and registrations following installation of CleanTalk WordPress plugin. As it doesn’t use CAPTCHA, it is okay to call CleanTalk the simplest way of distinguishing between human beings and bots! That’s all about the working principle of CleanTalk WordPress plugin and it’s a plugin worth depending upon! Though we are reviewing the WordPress plugin, CleanTalk is available for most of popular CMSs, such as Drupal, Magento and Joomla. 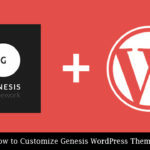 Now, we will share our experience with this WordPress plugin with you. Along with install-and-forget feature, CleanTalk includes a simplified installation process as well! Actually, there are 2 steps for setting up CleanTalk in your WordPress-powered site or blog — creating CleanTalk account and downloading and installing plugin; both are quite simple, nevertheless. You can download CleanTalk WordPress plugin by searching in the in-built plugin directory and the installation would be finished in no time, as you know. When you click on the button to activate CleanTalk, you will see a page asking a CleanTalk access key to move forward. To get an access code, you will have to create a CleanTalk account, which is a matter of seconds. Once you’ve pasted the access code in corresponding place, you’ve done it — you’ve secured the WordPress blog or site. Didn’t you find the process simple enough to execute? By default, CleanTalk will analyze content that is submitted to comment forms, registration forms, contact forms and custom-made contact forms, though you can go to the advanced options page to customize these features, say when you want to exclude custom-contact forms from the list. You can decide if you want spam comments to be deleted instantly or stored into the SPAM folder — just in case, if you want to know how humane bots can be! Analyzing SPAM — it’s an Art, you know! If you check out the dashboard of CleanTalk, there’s a vast amount of stuff to be analyzed! There, on the dashboard, you can see the details of the site you have secured using CleanTalk and how many legitimate/spam comments have been submitted and approved (or deleted). When you have received enough data to find out how many legitimate and spam comments are there, you can check out the Analytics section that can tell you everything you want. And, when you go to the Setting section, you can have options to set up manual moderation of comments by setting parameters and another feature that can move spam comments to a particular folder instead of deleting them. Also, there’s a log kept to give you information about each comment and commentator, be it a bot or person. It is sad news — CleanTalk is premium, though it is offering a free trial of 14 days that seemed powerful enough to force almost anyone get the premium version. There are two types of plans available. In the first, you have to pay as per the number of websites you want to secure — if you want to secure a single site, just pay $8 per year; instead, if you have 10 websites, it costs $46 per year. Nevertheless, in the second type, only 3000 comments can be tested a day, but you can secure as many websites as you want. Please note that, 3000 comments limit applies only to legitimate comments while no restrictions on request spam comments or other spam requests. On the day available 3000 are legitimate comments. That’s a lot and happens is only for very visited resources. The selection solely depends upon your requirements and budget. Well, we find the pricing quite acceptable, especially when considering its top-notch features. 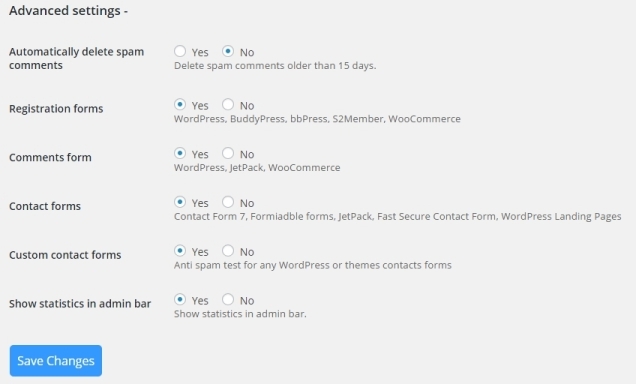 Undoubtedly, CleanTalk Antispam is one of the best WordPress plugins we have ever come across! While the install-and-forget nature of the plugin keeps everything simple enough, the public, daily-updated information about robots and spammy stuff makes us confident about the cloud-based human-robot separation process. And, as there are no sorts of CAPTCHA and tests involved, that’s a great thing from the usability point of view. Despite all these, CleanTalk has an affordable pricing — why don’t you pay around $10 if you can just forget about spam! In short, CleanTalk did impress us, in all aspects.